Few films tell a heartbreaking story as hilariously as this must-see classic in which Tom Courtenay stars as a young clerk lost to daydreams in his Yorkshire home town. But will they ever come true? Billy Fisher (Courtenay) is a bored undertaker's clerk in the 1950s who daydreams of an imaginary world to escape from his dull life, whilst simultaneously struggling to keep his two fianceés from finding out about each other. But when an old girlfriend returns to the area, offering him the chance of a fresh start, is he brave enough to leave his fantasies behind? Released into a Britain newly smitten with working-class pop culture, it forever sealed the fame of dockworker’s son Tom Courtenay, whose iconic lead performance really shines. 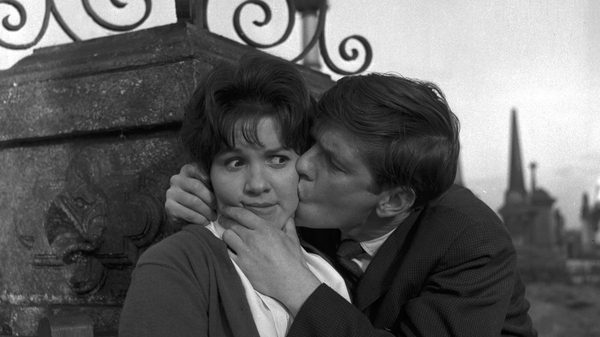 Yet beneath all the playfulness, Billy Liar is also a masterclass in melancholy. Viewed through the prism of fantasy this unique work in British cinema is at its heart a touching portrait of ambition aching to break out of suffocating conformity and social expectation.